This stunning package features three chunky, moody, atmospheric house tracks from Barcelona stalwart, Ludowick. If, like us, you shudder at the very thought of a Marvin Gaye vocal in house music these days, you might be very pleasantly surprised by the title track 'Let's Get It Off'. 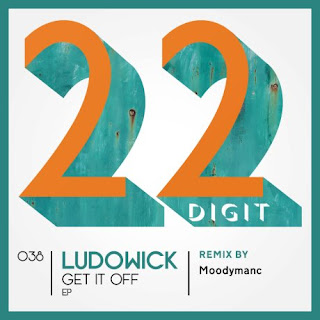 Somehow Ludowick has managed to sample of one of Marvin's best known tracks, intelligently and with originality, without in any way cheapening the mood. Dark, brooding and intensely rhythmic, this is sure to work on the floor. Manchester based production powerhouse Moodymanc supplies a remix so uplifting that it borders on the euphoric, whilst still managing to remain both credible and deep. As the label notes say: Moodymanc's music "makes you stick your hands in the air and carefully stroke your beard at the same time." Of the other two original tracks, 'Signs From Heaven' is the clear standout. With clear influences from breakbeat and another cheeky vocal sample (this time from Seal), this is another brilliantly evocative track.